Forget bunting and 99s and summer fetes - last summer was such a wash out for me that this year I'm thinking big. I want a proper summer holiday where I can wear indecently short shorts, get indecently hot and eat massive ice cream sundaes. But who I am kidding? Summer is still months away, my legs haven't yet emerged from their winter tights and my plane ticket is still pretty much non-existent. My solution has been to start small. If I can't be packing up my trunk, I'll be snapping up some trinkets that come in some totally tropical flavours. The following little beauties pack enough summer punch to see me through the forthcoming months. 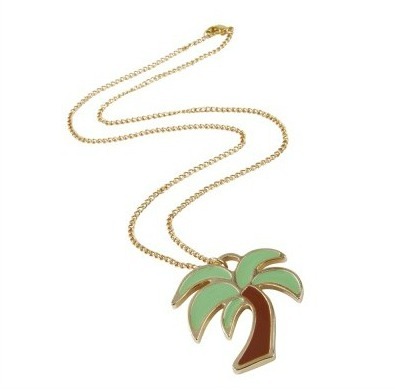 First stop is any sort of summer jewellery collection has to be the palm tree. This necklace costs only £3.75 and comes from Fever. I believe the pineapple to be the king of kitsch fruit. However, the melon comes a close second. Having its juice run down your chin is a high point of any summer. 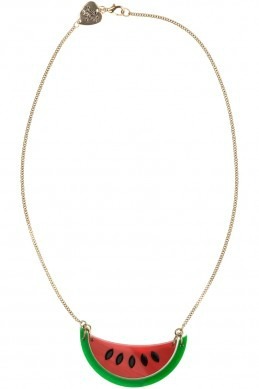 This small melon necklace comes from Tatty Devine and costs £36. 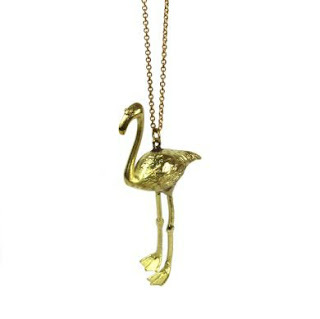 Flamingos, No more needs to be said surely? This depiction is arguably a touch classier than most. It's £22 from Hannah Zakari. Ah, the summer holiday cocktail: sweet, sickly and likely to lead to outbursts of the macarena. Like the drink itself, Accessorize's Summer cocktail necklace is at £6 both cheap and an awful lot of fun. Is it nearly summer yet? 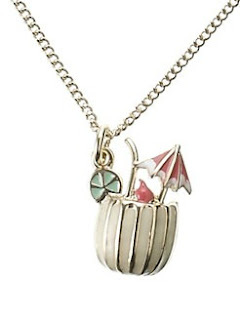 My most favourite piece of jewellery was a charm bracelet with palm tree and flamingo charms and little flamingo cameos. It was stolen by a very mean girl and I'm still sad about it. Obviously I just need to buy all of these in replacement.